"Double line sections, which always formed the majority of the LT&S system, were originally worked on time-interval. No use was made for signalling purposes of the Electric Telegraph which had been installed throughout. Each station had the usual double-armed 'Station Semaphore' with one arm for each direction, showing horizontal (red light) for stop, 45 degrees (green light) for caution, and vertical (hidden inside the slotted post) (white light) for clear." What is not clear is whether those were signals for trains entering the station or for leaving it, and, if for entering it, where the trains would be held if not at the signal. It may be that I shall need to look more closely into the history of signalling (although I am a little reluctant to embark upon a whole slew of 1850s slotted semaphores for Pak128.Britain-Ex). Can anyone tell me a little more about how the operation of these Swedish signals worked, and in particular where trains would stop outside the station, and how trains were signalled to leave the station? That very much exactly describe the Swedish T-signal. Not strange, since much Swedish old railway are inspired (and imported) from England. What is not clear is whether those were signals for trains entering the station or for leaving it, and, if for entering it, where the trains would be held if not at the signal. The signals where definitively for trains entering the station, and the driver was supposed to hold 100 meters outside the outermost junction. I have read that the train gives departure whistle with the horn, only then the signalmen may change the signal status to caution and the train depart. That suggests that the signals where in fact used, possibly from behind the train driver, to deliver the message for departure. However, I haven't yet found that this definitely is the case. There are also described hand signals to be used by signalmen, but currently Im not sure whether this is for normal train departure or just cases where there doesn't at all exist signal. I think that I shall have to research the time interval method further. Finally, I found some more filling information. Here is described that usually departure signal was given by a signalman, holding his arm horizontal to the tracks, meaning "clear". At dark he would have a white lamp moving in circles. If another train just has left the station in that direction, he can (at earliest five minutes after the departure of the former train) show the "caution" signal with a green flag and the train may drive with a speed limit. May I ask whether this is describing the absolute block or time interval method of signalling, or whether this is not clear from the text? Im not sure wether it best fit to time signal or absolute block signal. Those terms are not mentioned in that document. As many early railways where only single track, the time interval method doesnt really work (as I have understood time interval method cant be used on bi-directional lines?). Its maybe more like absolute block with only one train between stations, with the aditions that trains may enter an occupied block in the same direction as the first under some circumstances (eg if the former was behind schedule) with the rules earlier described. Afaik, manual blockage of the tracks via Siemens telegraph mashines where used. The telegraph has been used since the beginning to protect singletrack (bi-directional) and doubletrack. Ahh, I see - a token block system? Would you like me to try to elaborate how it works, or do you know how now? Incidentally, are you considering T-signaling? I am looking into "station signals" as part of time interval signalling (which is why I asked about that); I am waiting to hear back from somebody at the Signal Record Society who has told me that he will provide me with some more information as to the working of time interval signals at junctions and stations presently (the current implementation in the code I do not think deals with stations and junctions correctly). When you refer to working "without any physical objects", are you referring to something similar to "tokenless block"; were the signals interlocked with the telegraph to prevent more than one train entering the single line section in opposite directions? As far as I have understood it, the interlocking was a human with the key to the signals. In theory, a station chief could wrongly send a train (and set points and signals to be clear) in the head direction of an approaching train. The "interlocking" is the telegram he got from the machine. Interresting with station signals! Are they supposed to be placed like the T-semaphore or what kind of logic will they have? I have yet to complete my research on this, and am waiting for Mr. Stirling to reply with his information on the early workings of time interval signalling. After I played around with it in Simutrans, I think it would work. With the exception that they should not have to stop outside the signal (to collect the token). Maybe an option in the datfile virtual_tokens=1 or something similar to make different of a token machine (generating physical tokens) and just "token type" of signalling? Thought could be given if the possibilities to drive, even if there is a train on the line heading the same direction, should be added. The not stopping at the signal to collect the token would not be too hard, but allowing a train to proceed in the same direction would be so different to how token block signalling operates that it would require a whole new working method (the verification that there is no train coming in the opposite direction would require a directional reservation, not used with token block signalling at present). Also, sending multiple trains in the same direction: were there signals along the track, or was this in effect permissive or even time interval working in this respect? How early were these signals, with the block telegraph instruments, in use? Also, do you know whether these signals were normal clear or normal danger? Also, sending multiple trains in the same direction: were there signals along the track, or was this in effect permissive or even time interval working in this respect? How early were these signals, with the block telegraph instruments, in use? As I know, there where no signals along the track, except with remote sidings, protect streetcrossings etc. I guess its a kind of unintended time interval working (trains where not supposed to go before previous train had arrived to next station). From the very beginning, they used telegraph (Sweden started around 1858 with railways) I read somewhere. The signals themself where the T-semaphore, and a kind of plate-signal (like your vane signal-graphics), later more kinds of semaphores. Also, do you know whether these signals were normal clear or normal danger? Interesting. May I ask how it was known that the train had reached the next station, and whether the next station was always one with a passing place (in which case, this is just token block and there is no question of sending multiple trains down a block section at once) or whether this could include just a single track halt with a signal (in which case, this gets more interesting, but could possibly just be represented in Simutrans by 2 aspect track circuit block signals, albeit with some adaptation for the T-signal form discussed)? The receiving station would call back and tell that the train had arrived. As I have understood, all halts had two tracks or more. Otherwise, I think such a station would be considered as "ungarded", which means the dispatchers at each side of that station would be communicating to each other (dispatchers sitting in "guarded" stations), instead of the singletrack'ed "station", however im not sure. Hmm - so is this not identical to token block working as far as Simutrans is concerned, except for the T-signals? I am having trouble reconciling what you wrote about sending two trains down the line in the same direction with what you also write about a train having to have arrived at the next station (which would also be a passing place) before the next train could be sent. I gues you are right that it more or less is identical to token block signaling between stations. Reason a train could be sent down a line before the former train had arrived to the next station is, if either the former train was behind the schedule, or this train is an "extra train" (meaning its not figuring on the time schedule). I do think that they planned their time schedules so no train had to be sent before the former had arrived to the next station. However, when delays occured or there where this "extra train", this could be done in order to prevent further delayment of the schedule. Two trains going the same way would generally be done using a manual time-interval set-up where a certain number of minutes had to have lapsed before the second would be permitted to go, and it required that the next station have a certain ability to handle it. I don't think this was done often, nor is it feasible to do it in Simutrans (certainly without signals) as it would just end up for more opportunity for things to get stuck. I could agree that the function to send more trains in the same direction might be too complicated for simutrans. Early signalling for double track - time interval - 1858-1877 ? Choose signal - (half of) T semaphore with 3-aspects, no choose aspect. Early signalling for single track - token block - 1858-19xx ? Choose signal - (half of) T semaphore with 2-aspects, no choose aspect. Choose signal - 5 lights (3-aspects+choose) - clear + choose could be shown as green+white+green to distinguish this signal from combined choose signal above. Top two lights would be always the main signal (green/red), 3rd and 4th presignal (green/white) and bottom light always the choose aspect (green/none). Do you have any idea what sign could be used for early drive-by-sight signal? 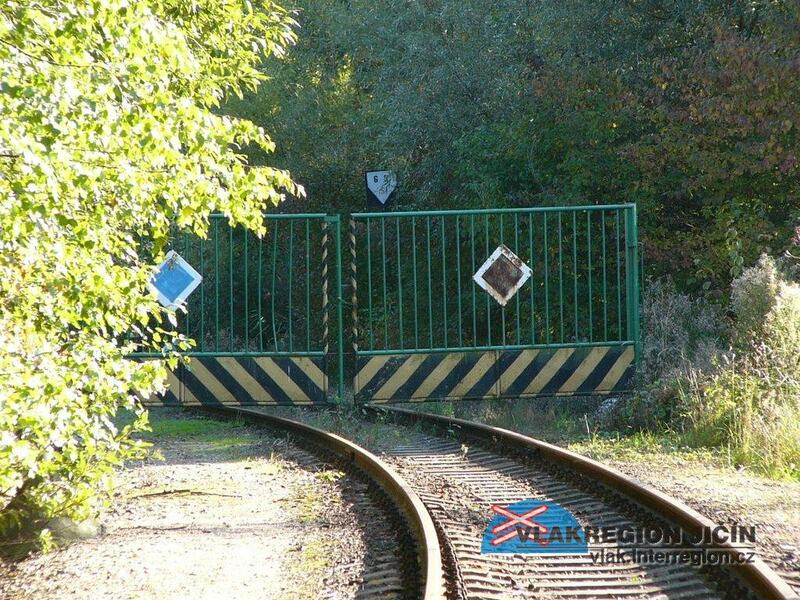 What sign is usual on gates over railway (gates of depot and such) ? They say they were working in the same way as in UK. Could you find more about the signal on the left picture here: http://www.ekeving.se/si/mek/index.html? As with early British signals, any driver approaching such a signal showing danger would be expected to bring his train to a stand before any points, rather than stop at the signal itself. This resolves one specific part of the puzzle of how to implement such signals: the train would have to stop one tile before the last set of points before the signal. There are other difficulties with this type of signal that will have to be considered carefully before I decide whether I am able to implement it. I shall in any event have to do some more research into time interval signals, the operation of which at stations and junctions are difficult to pin down. If there is anything in the Swedish documents that assists with how this worked in Sweden, a translation/summary would be very helpful, as one can reasonably infer that it was very similar there to here (and in any event, the code would be useful for the Swedish pakset). Incidentally, having signals of one working method automatically upgrade to those of another working method will not work: the player may well end up with signals of a mixed type on the same line connected to an incompatible signalbox. Further, if you allow time interval signals without a signalbox, and then have them upgrading to absolute block signals (which cannot function in the game without a signalbox), things are liable to go very wrong. I should probably simply not allow upgrading to signals of a different working method at all in the code to prevent this sort of thing happening. May I suggest that somebody amends the reference post relating to signal parameters to reflect this? Ok, I have read alot about signals these last days, so I have summarized underneath what I found. Maybe fig. 17 (Grön bansignaltavla och dess placering) on this link: http://www.ekeving.se/t/sao41/sif.html? The "one way sign" could be fig. 10 (Spårspärrskärm) on that link? "End of choose" could be fig. fig.9 b2. I dont understand which sign you mean. Combined signal was to my knowledge never used with semaphores. First with track circuit blocks, a signal could show the state of the next signal. The maxspeed should be quite higher than 80kmh for the pre ATC signals, like 160kmh as its in pakbritain. Time interval I nowhere found where ever used (only in the exceptions I have descibed in earlier posts), so I think that this working method should not be used. Token block was also only very very rarely used and therefore I think should not be included. Although the one train staff also where very rarely used, I think that could be very usefull in Simutrans. Semaphores where mainly signalling wether a train where allowed to enter the station. When they wasnt a T-semaphore, they where placed around 50 meters outside the furthermost point. Platesignals where painted red and only facing one direction, and could (instead of a semaphore) be placed on either side of a station (outside the furtherst point). A green plate facing the train would mean caution, no green plate would mean clear. All three are mechanical signalboxes of different types and sizes. "Ställbock" is a very small signal"box", or rather a switchgear, often bolted to a wall or where standing directly on the platform. Usually only manouver a couple of points and signals. The two winged semaphore had the logic that when the upper wing alone pointing 45 degres down, the train will enter the main track. If both wings are pointing 45 degres down, then the train will enter a sidetrack on the station. When clearance is given with three wings, it means sidetrack/shorted track. This signal could in principle replace the twowinged semaphore. Later, when Simutrans trains can reassemble, three wings would be the "call on" aspect. Could manouver signals at mutch bigger distance, however only signals inside his sighting distance. When track circuit blocks becomes available, the distance could be much higher. When Simutrans trains may reassemble, the 3xsolid-green should become the "Call On" aspect. A green light are added to the signal itself (now has two green and one white), removing the yellow "caution for sideway" lamp. As to the five aspect choose signal I have a question: will the "Clear-main" be showed also when the train is stopping at the station, or is there a way to make this state only show when when the train drive through the station (using the main route)? Regarding the 3 light choose signal, is that needed along with the 5 light choose signal? Will there be implemented a signaltype that works as a T-signal? That is a splendidly comprehensive description - I shall look forward to seeing this emerge. It is excellent to see people making signalling systems for other paksets. In the current implementation, clear-main is shown when a train is stopping at its designated platform, or passing through on its designated route. I am considering changing this as requested in another thread to show only in the latter case, and to show caution-main in the former case. Is this a question to me about the code, or to another Pak128.Sweden contributor about what signals that you need to make? If the former, I am afraid that I do not understand. If the latter, my apologies for possibly confusing it with the former. I have been giving this some careful consideration and am still not decided. This would be quite tricky to implement: it would require a signal being assigned to a station, and then facing in one direction but nonetheless controlling the movement of trains in both directions (or in theory all four directions if a station was a + shape, which is possible in principle), add code for that single signal to govern all departures from a station independently in each direction (for time interval, which is the method in which that signal was used in the UK, storing independently for each of the possible four directions the time at which the train left), and cause the trains to stop at the right point outside the station rather than, as at present, immediately beside the signal, on the same tile as it. Further, logic would have to allow it to control both entry to and exit from the station and to know in each case which it is doing. This is all made much more difficult by the way in which signalling is implemented, in which trains try to reserve tiles ahead on their route one by one, and, when they reach a signal, engage complex logic as to both whether and to where the train may then proceed from where it is now, and what the state of that signal should be. As may be appreciated, this system is particularly difficult to implement with signals controlling multiple tracks at the same time. I have still not worked out a clear idea of how this all could be implemented in the code, nor do I even understand how the real signals worked to a full level of detail. I would very much support that change! Maybe make it optional? In reallity, all the points at that time where not necesarily securily locked. If you add a BIG speed penalty for "ungarded" points (simulating that the train driver would have to stop the train, run forward and check wether the point is set and the track is clear, then run back again), then a T-signal could "guard" all points in a specified radius (removing the speed limit)? Normal signals (in pre track circuit blocks) would also guard signals behind the signal in a certain distance, and when track circuit blocks become available, all points behind the signal up to next signal (unlimited distance) are considered guarded. If the line is branching between two stations, a signalbox and a T-signal could be placed and that junction is considered guarded in all directions. Routes would always be booked THROUGH the T-signal, never up and until the T-signal. Regarding multifacing T-signals: Scroll down on this page: http://www.ekeving.se/si/mek/T-sem/T-sem.html it shows for 4 directions! Whether an aspect less restrictive than caution is shown will have to depend on whether an onward reservation (i.e., beyond the station) is made. It may be that this can be made optional in the parameterisation of schedules which is the next phase of works after signalling, but I am not quite sure how this might work at this stage and how to prevent there being excessive options cluttering the GUI. One good answer might be that the five aspect one might be considerably more expensive than the three aspect one, both to purchase and to maintain. In reallity, all the points at that time where not necesarily securily locked. If you add a BIG speed penalty for "ungarded" points (simulating that the train driver would have to stop the train, run forward and check wether the point is set and the track is clear, then run back again), then a T-signal could "guard" all points in a specified radius? Normal signals (in pre track circuit blocks) would also guard signals behind the signal in a certain distance, and when track circuit blocks become available, all points behind the signal up to next signal (unlimited distance) are considered guarded. Adding a speed penalty would not simulate truly manually operated points; one would actually have to simulate the train stopping then proceeding again. One would then have to find a way of dealing with multiple trains approaching the points at the same time to determine which train gets priority (which would involve deciding whether a reservation is used, and, if so, how far that that reservation should go (if too far, it might as well be absolute block, which rather defeats the object of these early systems), and then deal somehow with multiple sets of points so as to avoid deadlocks. This would actually become very complex indeed, and it is not clear whether any of this would represent real working practice. I am not quite sure what this would actually entail. Most particularly, it would be very hard for code to be written to determine precisely what tiles constitute a single junction and which tiles are outside that junction (it is this kind of problem). - end of signalling - dwarf signal at 11c - no sign yet. if I understand correctly, 9b is just 9a turned by 90°. I would prefer something more like a sign. The blue diamond on those pictures is a Czechoslovak railway sign meaning "shunting forbidden" and is placed where movements are physically impossible - fixed version on dead end or closed gate, changeable version on derailers, turntables. Old mechanic shunting semaphore was also a blue diamond (otherwise similar to mechanical presignal - it turned upwards when cleared). So, which sign is the swedish equivalent for this blue diamond? I guess fig 9a, 10 or 12. Here https://en.wikipedia.org/wiki/Swedish_railway_signalling they write, that the max is 80 km/h without ATC. Do you have some reference, which is correct? I interpret them all as signs, 9a has a light inside the sign, 9b1 also has a light (unclear if the light is inside or in front) and 9b2 is a normal sign with no light. Fig 10 is also just a sign, just a different shape (but with the same meaning). I don't think they look much different in Sweden than any other place. I really like the look of your pak.cs "fences" over the track, and I think they would be perfect if you just remove the diamond! Well you could say there is a 'before ATC ' and an 'after ATC'. Before ATC, the single green light just meant clear without any speed restriction, as speed restrictions where given on signs along the tracks. After ATC, all trains NOT equipped with ATC got this speed limit of 80 kmh on ATC equipped lines. On lines without ATC, the speed signs along the track still gives the speeds (also over 80kmh) to all types of trains. Since equipping a loco with ATC is not implemented in simutrans, there is no point in simulating that. Apparently the Wikipedia articles about Swedish ATC diverge a bit. On the Swedish Wikipedia, it says that ATC is designed to 250kmh, although the safety regulations from the government only allows 200kmh. I'm sorry that I'm contradicting myself. The dates from the latest post should be the one that is most correct as I have picked information from that Swedish ekeving-site that I find quite thrustworty. Sorry if I have missed something, but are there a SVN-server? I could not find anything on either the Github or your webpage..
Im supposing you mean github? Did you syncronize also, I cannot find it in the Github repository (latest commit nov 18)..? What about using signal 5.4 for end of choose, and "Grön bansignaltavla" for end of signalling? signal 5.4 (page 39) would be excelent for end of choose. "Grön Bansignaltavla" (fig. 17 from http://www.ekeving.se/t/sao41/sif.html) is also fine as end of signalling. As far as I know, there are no ways to differ an "ATC-"signal from a normal signal, other than the ballisers. I know there are signs for when the train enters and exits an ATC-line, and those signs along with other "ATC-signs" are at page 96 ("ATC börjar" and "ATC slutar"). However, I think it would be fine to use the triangle or the diamond you suggested. This makes me remembering that normally on an "infartssignal" (=choose signal), there is a little yellow square sign telling wich station is ahead (page 17, sign with "HOA A1/2"). Would this be suitable to distinguish that this is a choose signal? I was thinking also about sign at page 81 or 27 (2.1), just because it would be easy to do. But I have no idea what they mean. As far as I know, there are no ways to differ an "ATC-"signal from a normal signal, other than the ballisers. I know there are signs for when the train enters and exits an ATC-line, and those signs along with other "ATC-signs" are at page 96 ("ATC börjar" and "ATC slutar"). However, I think it would be fine to use the triangle or the diamond you suggested. This makes me remembering that normally on an "infartssignal" (=choose signal), there is a little yellow square sign telling wich station is ahead (page 17, sign with "HOA A1/2"). Would this be suitable to distinguish that this is a choose signal? I think it is enough. I would use the yellow diamond, or some other plate to mark ATC signals. BTW do you have any idea if some signals in sweden are "permissive"? I think about using dwarf-signals (either alone or combined with main signal), for token-block signalling. Even if it is not used in sweden, you might need it for playing a game. A thought about speed signs - if I guess right it is the round yellow sign with black number at page 41. and the triangles at page 42 are their distant counterparts? What is the sign with triangle instead of numbers?